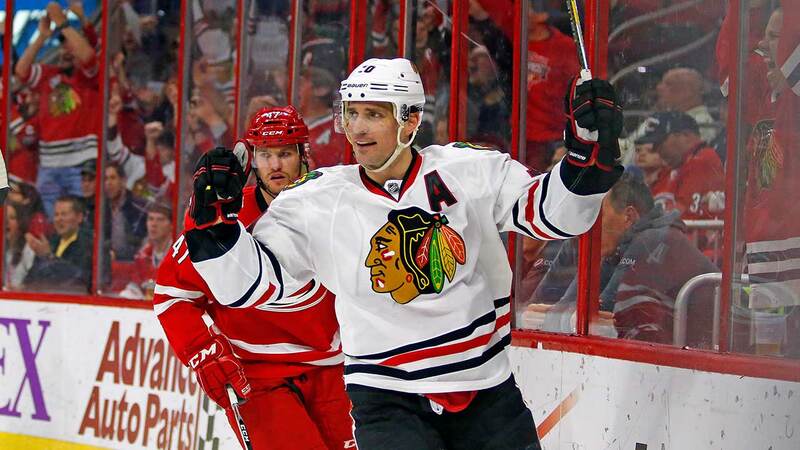 CHICAGO -- The Chicago Blackhawks are sending three-time Stanley Cup champion Patrick Sharp and defensive prospect Stephen Johns to the Dallas Stars for veteran defenseman Trevor Daley and forward Ryan Garbutt. The deal announced Friday night gives the Stars a veteran forward to go with high-scoring young stars Tyler Seguin and Jamie Benn. The Blackhawks add a solid two-way player to their blue line in Daley, who had a career-high 16 goals last season. The 33-year-old Sharp scored 43 points (16 goals, 27 assists) in 68 games for the Blackhawks, who beat Tampa Bay in six games in June for their third Stanley Cup title in six seasons. He has 526 points in 745 regular-season games and has appeared in 129 playoff games. The 31-year-old Daley spent his first 11 seasons with the Stars.